This painting seems to glow within. First charcoal is used to sketch out areas and then watercolour was painted on with oil then painted overtop. The paper is covered with a clear matte protective acrylic layer so that the oil will not damage the paper. 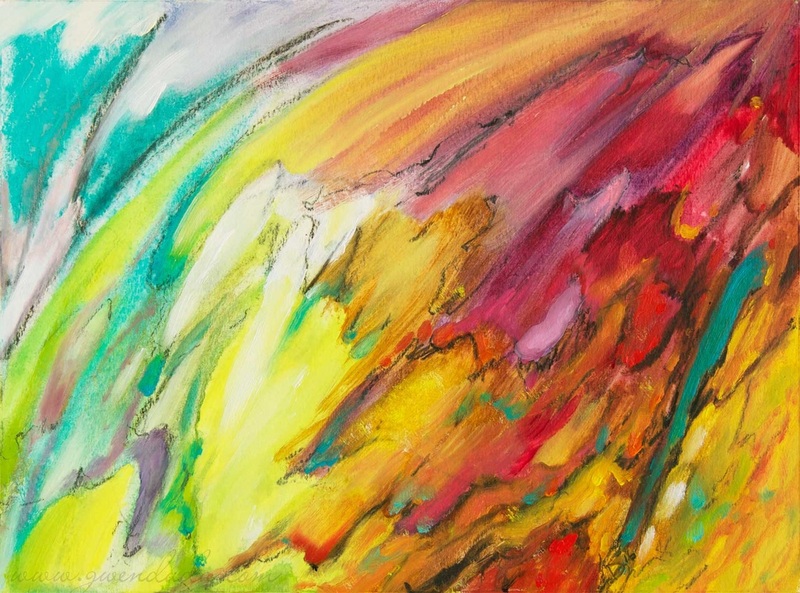 A luminous, colourful and alive-feeling piece. Painting still drying - contact me to purchase.